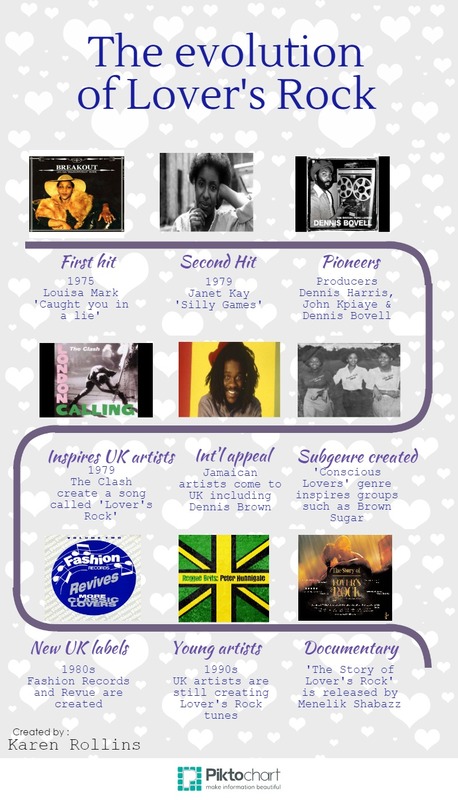 I think the Lover’s Rock phenomenon deserves its own page because it really was a defining moment when black Caribbean culture in Britain gave birth to a musical genre of its own. Lover’s Rock initially grew out of reggae music and by the 1970s it had developed a distinctive British and London twist that set it apart from anything else around at that time. Set against a background of racial tension and turmoil the genre was designed to give the people who were listening, especially black inner city youth, a chance to breathe and escape. It was a romantic, soft, soulful, calming brand of music that particularly appealed to women and demonstrated the unique creativity of the black British community while opening the eyes of the world to a new crop of singers, songwriters, and producers, who all had Caribbean ancestry. Lover’s Rock defined a generation with songs that sold thousands and many also did well in the mainstream or reggae charts including a song in 1975 by teenager Louisa Mark with her version of ‘Caught You in a Lie’ and Janet Kay with ‘Silly Games’, which reached number two in the UK Singles Chart in 1979. The Lover’s Rock label itself was created in south east London by Dennis Harris, John Kpiaye and Dennis Bovell and these pioneer producers along with others began to put black British music on the map. The genre catapulted and moulded the careers of several leading UK bands and solo artists who are still producing music today such as Aswad, UB40 and Maxi Priest. It also influenced white British acts at the time including The Clash who produced a song called ‘Lover’s Rock’ on their seminal album London Calling and the Police who had several reggae based tunes. By the 1990s Lover’s Rock had lost some of its strength but it is still popular today among some young artists especially in Japan (for some unknown reason) and it is impossible to talk about the Caribbean influence on British music without mentioning it. In 2011, when I was living in Barbados, I went to see a documentary called ‘The Story of Lovers Rock’ by director Menalik Shabazz who was born on the island. The film documented and encapsulated just how significant, important and necessary this British music genre became and why it is known as the black soundtrack for its era.